Information researched from airvectors.net and wikipedia shows that after WW2 the Dornier company manufactured utility piston engined aircraft. Aircraft production was limited in Germany after the war but as the cold war tensions grew military aircraft production was allowed to expand. The Dornier DO 27 completed its initial flight in 1955 and the production version first flew in 1956. After the success of this machine a twin engined version, the DO 28, was produced leading to a further updated aircraft, DO 28D Sky Servant with its first flight in 1966. The company then developed a further derivative with a new wing, stretched fuselage and a re-tractable tricycle undercarriage. The first flight of the DO 228 100, which could carry 15 pas-sengers, was in 1981 and deliveries to costumers began in 1982. It is powered by a pair of Garrett TPE331 turboprop engines. The Do 228 is commonly classified as a Short Takeoff and Landing (STOL)-capable aircraft, being capable of operating from rough runways and in hot climates. This capability has been largely attributed to the type’s wing which generates large amounts of lift at slow speeds. 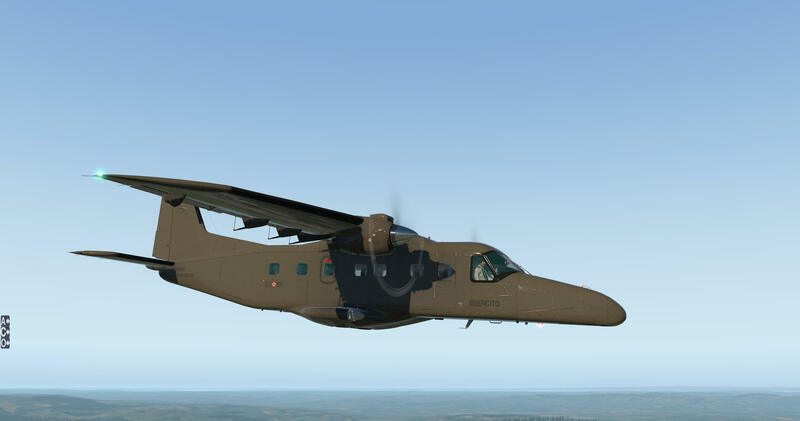 The Do 228 is typically promoted for its versatility, low operational costs, and a high level of reliability – possessing a dispatch reliability of 99%. The rectangular shape of the Do 228’s fuselage section and large side-loading doors make it particularly suitable for utility opera-tors. According to Flight International, one of the more distinguishing features of the Do 228 is the supercritical wing used. The structure of the wing is unusual, consisting of a box formed from four integrally-milled alloy panels, while kevlar is used for the ribs, stringers, trailing edge and fowler flaps, the wing’s leading edge is conventional alloy sheet metal. Benefits of this wing over conventional methodology reportedly include a 15% reduction in weight and lowering the per aircraft manufacturing workload by roughly 340 man hours. 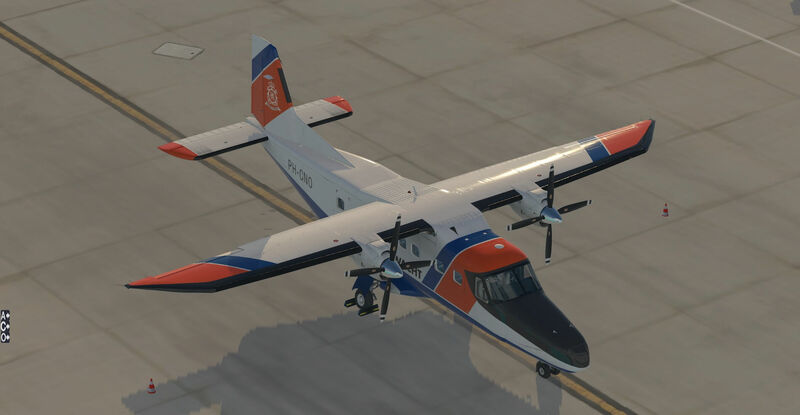 Dornier offered the Do 228 in airliner, dedicated cargo lifter, troop transport, paratroop transport, air ambulance, aerial survey, mil-itary maritime patrol, fisheries patrol, and marine pollution surveillance configurations. A license-construction deal was established with Hindustan Aeronautics Ltd (HAL) in India, with the first HAL-built machines rolled out in 1986. 245 machines were built in Germany and 125 in India. In July 2017 63 aircraft were in airline service. The aircraft has been used for law enforcement and military operations by the following: Finnish Border Guard, Indian Coast Guard, Netherlands Coastguard, Royal Oman Police Air Wing, United Kingdom Marine Fisheries Agency, Mauritius Coast Guard, Indian Navy, Nation-al Air Force of Angola, Indian Air Force, Indian Navy, Military of Malawi, Niger Armed Forces, Seychelles Air Force, Royal Thai Navy, Venezuelan Air Force, Cape Verde Coast Guard, Italian Army and German Air Force. Basic DO 228 production ended in 1998 but production of a New Generation variant continues. Realistic behaviour compared to the real airplane. Realistic weight and balance. Tested by several pilots for maximum accuracy. Download of the model is straight forward and takes place in a reasonable time. Once the folder is downloaded it can be copied to the desired aircraft folder very easily. The down-loaded folder includes a documentation folder. Several documents are supplied in pdf format. The first documents are the copyrights and credits and recommended settings literature out-lining the preferred settings for X-Plane 11. A DO 228 reference document outlines maximum speeds for aircraft operation and a per-formance tables document is also supplied. The Quick-start reference pdf explains the elec-trical system, fuel system, including the operation of the cross-feed system, the autopilot, hy-draulic system and the propellor start lock system that maintains the propellors in flat pitch (minimum drag) position when the engines are off allowing for easier starting. A document outlining and explaining the X-Plane 11 Flight Management System is included. The normal procedures pdf outlines interior and exterior checks prior to take off and with an abbreviated checklist for interior checks, engine start, taxi check, before take off checks, flight checks. landing and shutdown checks. The final document is the Emergency Procedures pdf which contains three pages of proce-dures relating to engine malfunctions, various fires, forced landings and other airborne emergencies. These are all useful and realistic documents containing the valuable information. The model can be flown and enjoyed without reference to these documents but for those who want to increase the realism of the use and flight of the model they are highly relevant. 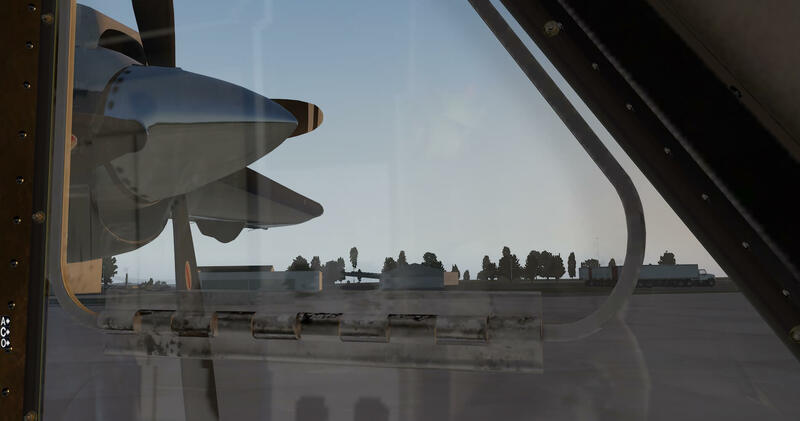 The detail also shows the extent to which the developers have gone to create a realistic flight model and flight physics as outlined in the highlighted features for the aircraft. The model is supplied with a basic plain white and six other liveries, five commercial and one military, the Italian Army. All liveries are clear and bright with vivd colours. When approaching the aircraft in cold and dark mode the box shape and high wing are im-mediately apparent. The shines and reflections mentioned on the product highlights are produced in clear and realistic detail. Even looking in through the glass there is a slight re-flection whilst the interior remains detailed and visible. There are appropriate and authentic wear marks in various places on the aircraft and writ-ing and signage remains clear when viewed closely. The undercarriage mechanisms and tyres are modelled in detail and also carry realistic light reflections whilst the weight of the aircraft is illustrated through the shape of the tyres.. Lenses and glass on the lights are crisp and authentic. The aircraft is coned off and the wheels chocked when viewed with the en-gines off. A check around the aircraft shows the attention to detail given to the model with the reflec-tions from the propellor hubs giving true images and all handles and catches modelled. The textures and shapes of all surfaces are very realistic with depressions produced by rivets and panels and the control surfaces clearly defined. The model comes with the on screen menu to the bottom left which Carenado provide with their models, giving ready access to various views, operations and effects. 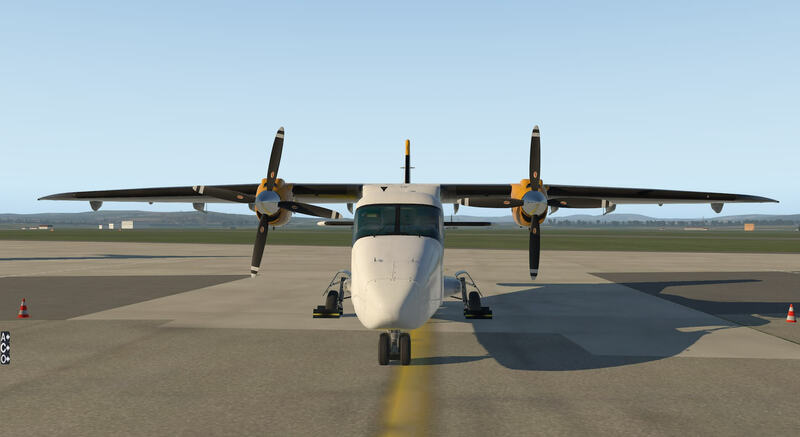 The “O” Options menu allows the user to switch the window and instrument reflections on and off, add or remove the static elements of cones and wheel chocks and operate the pilot, nose baggage, passenger and main baggage doors. With these open the detailed interior can be viewed and it becomes clear with the door aper-ture sizes, why this is such a good utilitarian aircraft. The modelling of these working doos really does allow the model to be appreciated whilst in a static mode. The menu also allows for the liveries to be changed without going back through the X-Plane menu. The “C” Camer-as and volume menu provides quick access to two external views from the tail and belly of the aircraft. When viewed from outside the model is provided with two realistic crew figures which move independently. The reflections and detail, are highlighted on the Carenado website and a study of the exte-rior of the aircraft shows why this is the case. The detail does not diminish whether the air-craft is on the ground or in flight and all liveries display extremely well. 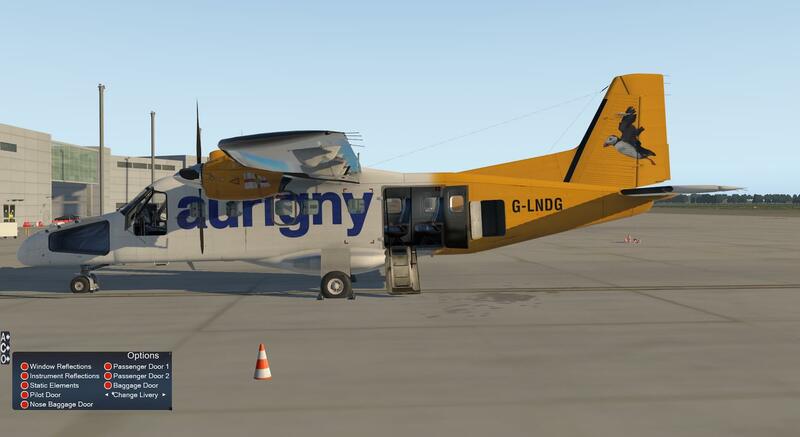 This a highly detailed model when viewed from outside and real effort has been made to maximise the use of all tools available to the developer to create a very realistic aircraft. The detail and textures continue on the inside of the aircraft, with high quality production of flight instruments and controls. The yokes can be hidden by clicking on the central boss and replaced by clicking on the column base. This allows a clearer view of the instruments when desired. The overhead panel allows control of various aspects of interior lighting and when switched on the interior cabin lights are very effective, again with appropriate and well mod-elled reflections on the interior walls. The overhead panel also gives control over exterior lighting, fuel, engines and the electrical system. All switches are modelled in detail and the majority are functional. The sun visors next to the overhead panel are modelled and can be moved. 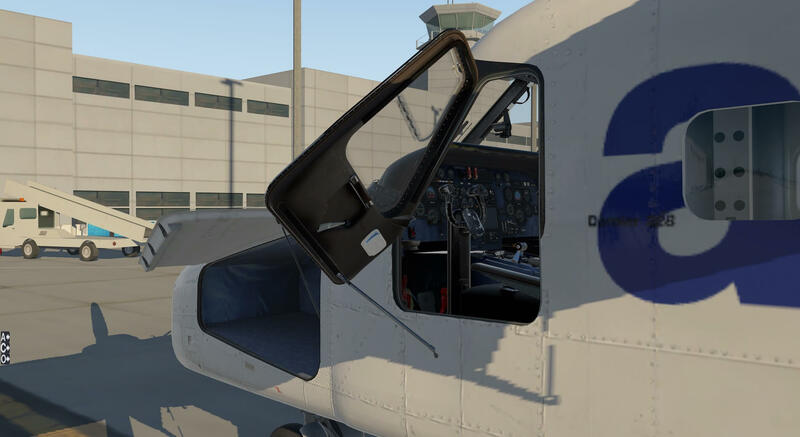 The main control panel is very clear and the definition of the instruments remains high regardless of the level of zoom and even the text on the advice panel in front of the pilot and on the cockpit fire extinguisher remains legible, despite the realistic wear marks. The fuse panel behind the pilot receives the same attention to detail. Instrument lighting can again be controlled and this is very realistically produced. There is tremendous detail created across the whole instrument panel, for both the pilot and co-pilot positions. It would be bene-ficial for the less experienced or knowledgable pilot for some of the instrumentation to show a label when the mouse is hovered over them and this may enhance the experience of the cockpit and allow greater appreciation of the work put in by the developers. 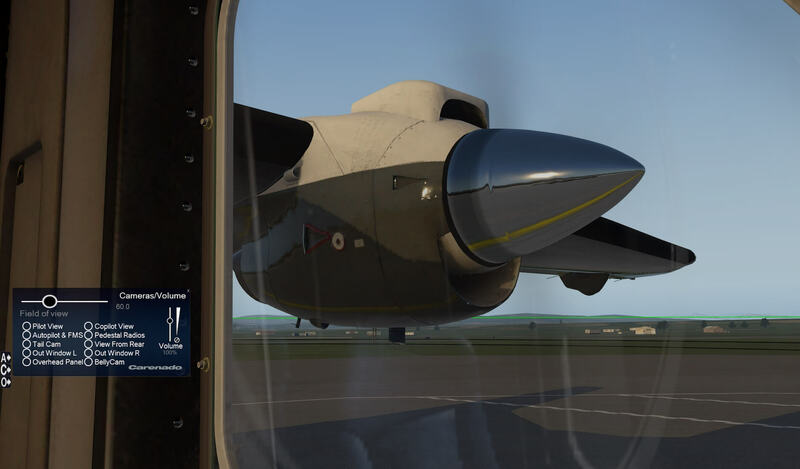 It is well worth clicking on the show instrument click regions in the X-Plane View menu to be-come aware of all that is available in the aircraft interior, such as operating arm rests, sun visors, windows and doors. This would also help a new pilot follow the procedures documen-tation more easily, as many functions of the aircraft are very realistically modelled and are available to the user. The cabin interior is modelled in detail with heating control panels and overhead lighting. The seats and carpets show an amount of wear and tear and the textures are very realistic throughout. Clever use of light and reflections give the passenger windows thickness and depth. The “C” menu allows for different interior views, Pilot, Copilot, Autopilot and FMS, Radios, view from the rear, out of windows and the overhead panel, to be achieved quickly and accu-rately permitting the user to experience many different aspects of the aircraft and the flight. 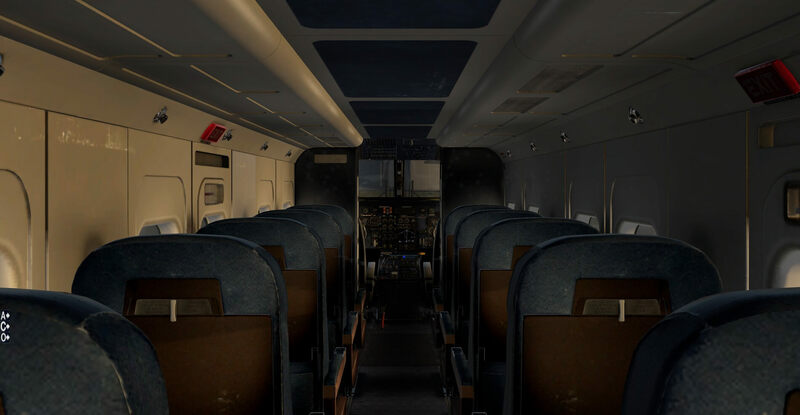 The interior of the aircraft is modelled to a very high level and justifies the comments on the website about realistic reflections and textures. Attention to detail remains high and accessibility to different aspects is made much easier by the camera menu. Greater ease of use would be achieved by more instrument labelling. The model is great to fly from an engines running, end of the runway start. Take off is straight forward and even with a small amount of flaps its easy to see why the aircraft is known for short take offs. The plane is very stable once in the air and the high wing makes for good views in all directions. The model is responsive to control inputs and gives a really enjoyable flight. The default view out of the cockpit looks over the top of some the instru-mentation but a slight adjustment allows a view ahead whilst covering the key switches and dials. 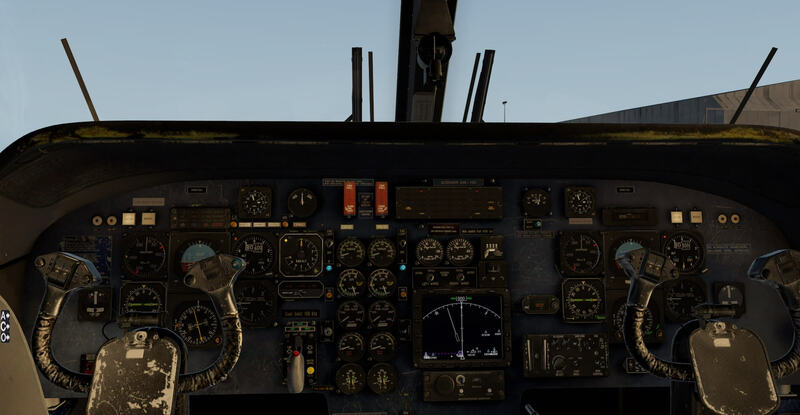 The camera view options are also very useful here as they allow for quick and accurate changes to where the pilot is looking in the aircraft. Landing is helped by the stability of the aircraft and any amount of flaps produces considerable lift. Once on the ground the aircraft stops quickly under braking. The aircraft is also equipped with reverse thrust. This does not activate simply by reducing the throttle but has to be switched on. This is clearly realistic as having reverse thrust happen just by reducing power would have unintended consequences! The keyboard or joystick can be set up to toggle reverse thrust. Be careful to reduce the thrust to zero before toggling back to forward thrust otherwise the aircraft goes immediately to full power and may set off again. All cleverly modelled and very authentic. A great experience for those who want to jump in and fly. Following the guidance notes and documentation from a cold dark start on a stand is very rewarding but also challenging for those who do not know the whereabouts of all switches and buttons. I spent some time establishing where all of these were, a task made less easy due to the fact that there is no instrumentation labelling and no instrument diagram in the documentation. I found the best way to work through this, with my limited knowledge and familiarity with the aircraft, was to highlight instrument click regions and then go over the panel on which the appropriate control from the procedures list was situated. Once I had worked this through the first time the familiarity made the whole procedure much easier. The graphics for the switches and gauges are very clear and responsive. Shut-ting down the aircraft after flight was much more straight forward as it meant revisiting the switches already established. Taxiing the aircraft proved to be easy with a very low amount of power required through the throttle and speed on the ground controlled by the brakes. The use of the propellor starts lock system, as mentioned in the check list, is explained in the Quick Start Reference Guide. In flight the aircraft is easy to trim and flies straight and level with little input required on the controls. Input from the joystick and the keyboard creates the required response very quickly and smoothly. The flight can be made more and more challenging by adding various procedures to make operation more realistic. The model provides numerous variations and possibilities given the attention to detail in terms of flight controls and avionics and this al-lows the pilot to create the level of flight experience they would like. Considerable effort and focus has clearly been given to the sounds for the model. All sounds are crisp and clear. Switches have their own distinctive clicks and the engine sounds are very immersive, changing as the engine is switched on, increased in power and indeed switched off. The sound of reverse thrust is very convincing. Switches for internal actions within the aircraft also have the correct distinctive sounds such as the seat belt and no smoking lights for passengers. Sounds around the aircraft vary ap-propriately as doors and windows are opened. Sounds continue to impress when the aircraft is on the stand waiting to start as passenger noise can be heard from the rear of the aircraft with one baby clearly well aware of the standard of pilot on the flight deck! Operations such as adding or reducing flaps or raising and lowering undercarriage are also accompanied by reassuring sounds. The quality and appropriateness of the sounds with this model, in conjunction with the high-ly detailed and accurate graphics provide a highly realistic and immersive experience. 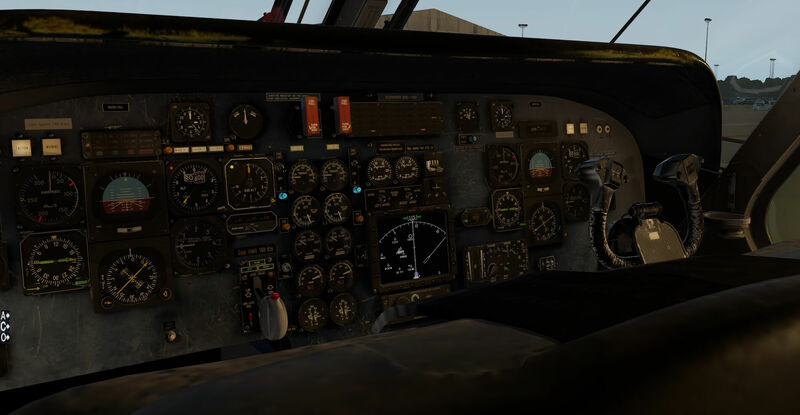 The model has fully operating Bendix/King radios, flight management system, a Honeywell autopilot and X-Plane GNS530 together with many of the bespoke systems for the aircraft. The autopilot is situated in the central console between the co-pilot and pilot seats. There is a camera view through the “C” menu on screen which takes the pilot straight to a view of the autopilot and flight management system, which is very useful in flight. The autopilot allows for control over heading. navigation, approach, altitude, back course, navigation source (VLOC or GPS) and indicated airspeed. Two other options can be switched on here, altitude select and vertical speed though the setting dial for these operations is set in the instrument panel left of the co-pilot. These allow for the vertical speed of the aircraft to be set and also for a pre-selected altitude. The system also allows for turn rates, bank limits, soft ride which prevents over-reaction to turbulence and yaw damping. A pitch wheel allows control of the rate of climb and descent whilst in ILS. This system works well in the model and establishes a smooth and relaxed flight once set up. There is one option on the autopilot, vertical navigation, which is not avail-able on this aircraft. A separate item in the documents folder fully explains the flight management system. Flight plans can be loaded in to the system and followed by the aircraft via way points and fixed points. The FMS document is very thorough and explains all aspects of the system. The GPS is based on the Garmin 530 and allows for planned routes to be inserted and followed. 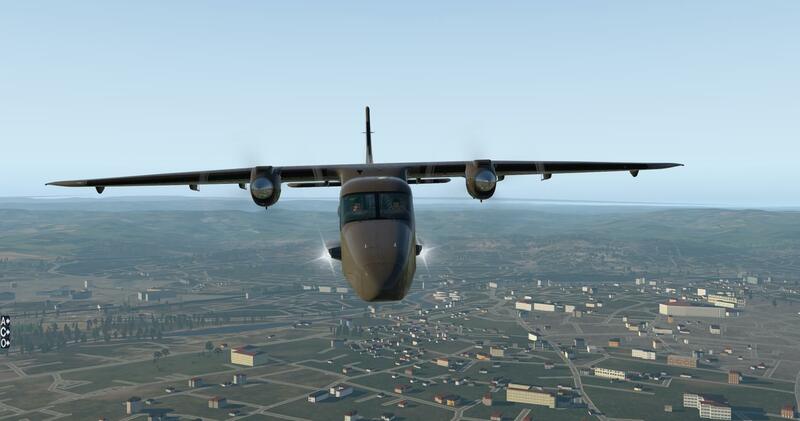 The air-craft responds well to these and allows for planned flights along realistic routes. The model files realistically when controlled by these devices, turns are smooth and correct and the use of ILS allows flights in all weathers which the model delivers very well. Changing between GPS and VLOC navigation in these systems also automatically changes the GPS/Nav toggle switch in the instrument panel. The highlights also mention that the model is Goodway compatible. The Goodway plug in al-lows for flight plans to be put together automatically and loaded in to X-Plane FMS and GPS. The model works well with this as highlighted and as the aircraft is fully integrated the Goodway plugin recognises it and inputs altitude limits and other characteristics. This is by no means a must have for this aircraft to work very well but the model does allow flight plans to be input in this way. The model is very impressively created, both inside and out, with high levels of detail throughout. Most of the controls and dials in the cockpit are modelled to be functional, allow-ing the pilot to use the aircraft at increasing levels of complexity and authenticity. The expe-rience is further enhanced by highly realistic and varied sounds for all aspects of the model, including the passengers in the back waiting for the aircraft to be started. 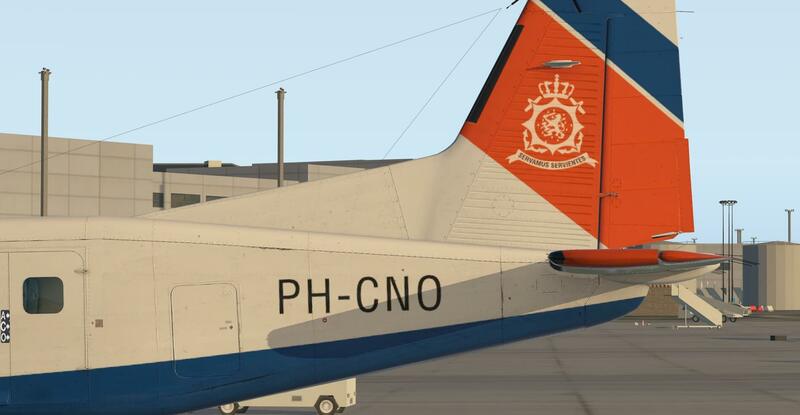 The developers have clearly worked very hard to produce a high quality model which ap-pears highly similar to pictures of the real aircraft. The flight characteristics also reproduce the qualities of short take off and landing, flexibility and adaptability that the real aircraft is renowned for. The model may be easier to learn and use for less experienced pilots if it had a cockpit diagram in the documentation or instrumentation labelling in the cockpit, though the documents supplied are highly detailed and informative around the areas that they cov-er. This is a great model to fly, either just for the pleasure of flying and enjoying X-Plane or for more involved flights. Flight is smooth and responsive with appropriate sounds commensu-rate with the actions of the pilot. Many systems are supplied in the aircraft which further enhance the flight experience. 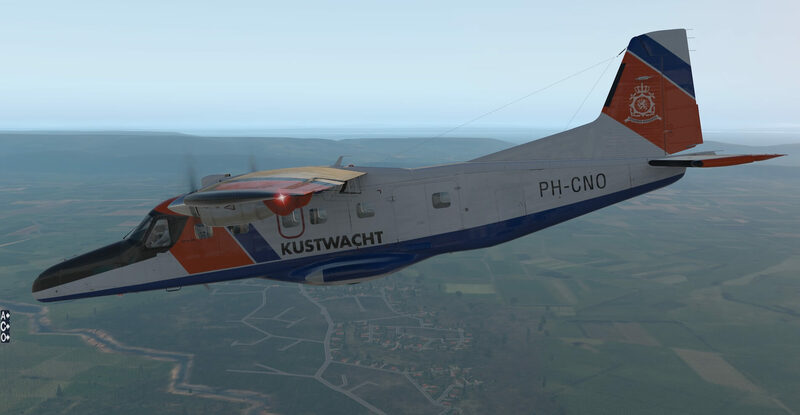 A high quality detailed model which is both a pleasure to fly and very realistic when compared to reports and photographs of the real Dornier Do 228 100. More information and buying details of this Carenado aircraft can be found at the Carenado website. You can also visit the dedicated X-Plane.Org web page or the dedicated Aerosoft product page. No mention that if you do not close the cover on the start switch..the landing gear does not come up.